Vegan businesses are different from regular businesses. We live in an omnivorous, mass-produced world. Other businesses cater to the masses. Their products consist of animals and their by-products. In contrast, you take pains to go against the grain. You spend the extra money and take the time to make something special, ethical and plant-based. For all intents and purposes, you’re in a completely different market. But that doesn’t mean the rules of the game have changed. You’re still a business, after all. Marketing language is universal. The goal is to introduce new things in a language that people understand. At the end of the day, it’s the tried and true methods you should stick with. 2. Does that website have a blog? 3. 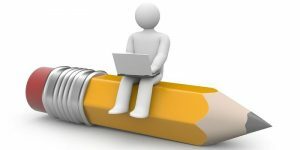 Are you using that blog in the best way possible? Tell people where they can find you. Have somewhere for them to go so they CAN find you. It seems kind of like a no-brainer, but you’d be pretty surprised how many small vegan companies don’t have one. I can name 2 that I’ve dealt with off the top of my head. First of all, do you know how friggin’ hard it is to find a good vegan doughnut place? I used to eat at a place called the Fractured Prune. It was my favorite specialty doughnut place, but it’s not vegan. I’ve been trying to find something to replace it ever since. Two places that I found might have been able to fit that profile. One of them I had already tried and liked, but the website wasn’t working. It also wasn’t anywhere near where I live. The other was one I wanted to try, but they HAVE NO WEBSITE AT ALL. Only a FaceBook and Instagram page. As a consumer, it was frustrating as hell. I was very interested in their products, but there was no easy way to get to them. Now, if you’ve got one of those companies that offers products no one else makes, I guess you’d be ok. But if you’re a vegan business that sells food or soap that I can make at home, you gotta step your game up. Veganism is a growing market, and within growing markets there is growing competition. You can’t afford to be obscure or mysterious. Do yourselves and your customers a favor: get yourself a domain and hosting and put yourself on the map. Getting into step 2 now. Blogging is the way of the future. Don’t get me wrong, having a website helps. It gives your customers (and potential customers) a place to go and read about you. But unless they know exactly what to search for, your brand name will fade into obscurity. Your site needs regular updates to stay at the top of the search results. Those updates need to be in the form of long-form content that’s relevant to what you do. The titles need to make people want to click on them. Once they have, the content can’t disappoint. This is the sure-fire way to get the oldies coming back and the newbies coming in. Each blog post that you post through your website acts as its own little page. 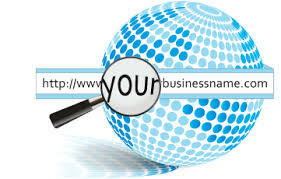 It’ll have its own link that leads back to your website. They can now be indexed by search engines. The more indexed links you have, the more you stand out. Your post will pop every time some searches a keyword. Blog posts are also sharable, so people can share them on different forms of social media. People share the post with their friends, then a couple of their friends share it with their friends and so on. It’s an ongoing opportunity. The more often you post on your blog, the more opportunities you have for people to share it. Somewhere along the lines, that’ll get more traffic to your brand website in overall. By this point, we can all agree that blogging sounds pretty damn great. It’s also simple…but that doesn’t mean that it’s easy. Before I published this post, I outlined it. I then wrote a super crappy rough draft before editing. While editing, I went through it 3 times myself before having someone else read it through. I’m pretty quick, but this whole process takes me a day or two. It takes a lot of time and energy…which you don’t have to spare. As the business owner, it’s your job to create the vision and communicate it to others. You’ve gotta come up with product ideas, formulas, etc. That is YOUR job. A blog post is like another product. But each one needs to be specially handcrafted before it’s released. Well, SOMEBODY does, but it ain’t you. So what should you do? Hire someone to do it for you. Get someone who crafts blog posts and get them to craft them you. It’s going to save you time and energy in the long run. And when you save time and energy, you save money. A blogger is great, but how do you know they’ll be the right one for you? You need to make sure that the person you choose has authority on the vegan lifestyle. Why? Because general writers make mistakes that niche writers wouldn’t make. Susie Kearley talks about this in Freelance Writing on Health, Food and Gardening. She’s a nutritionist and writer, and says other writers mess up on health pages. People who are otherwise fantastic writers sometimes give bad, even dangerous health advice. Do NOT do something like this to your vegan customers. They deserve better, and so does your brand. So pick an expert over a general writer. It’s better to have solid content than fancy lingo. Ok, so you’ve got your website, you’ve got your blog and you kinda know what you’re looking for in a blog writer. But can you handle another employee? You’ve already got the product developers and the sales team, how can you afford to hire another person? A freelancer is more likely to have that special experience I was talking about earlier. In my case, I put myself on a vegan diet for the health benefits. From there, I researched other aspects of veganism and shaped a life that worked for me. Because of my own experience, I have the ability to write relatable content that people will want to read. That’s what you want in your blog writer. Also, a freelancer is someone that’ll do the work for you and only gets paid once it’s done. You’ll get the outside help, but you won’t be responsible for another person in the workplace. No time keeping, no hourly rate, no extra expense for you. It makes your job easier, and it’s cheaper in the long run. Establishing a vegan brand can be taxing work. You’ve gotta come up with the actual product, then promote it. And you’ve got to figure out how to do this with a different set of start-up tools than most. Also, keep in mind that even entrepreneurs can’t do it all by themselves. You’re gonna need help, and that’s ok.
Don’t hesitate to spend a little money to get the extra help, either. The more you invest into your business, the more you’ll get back from it. 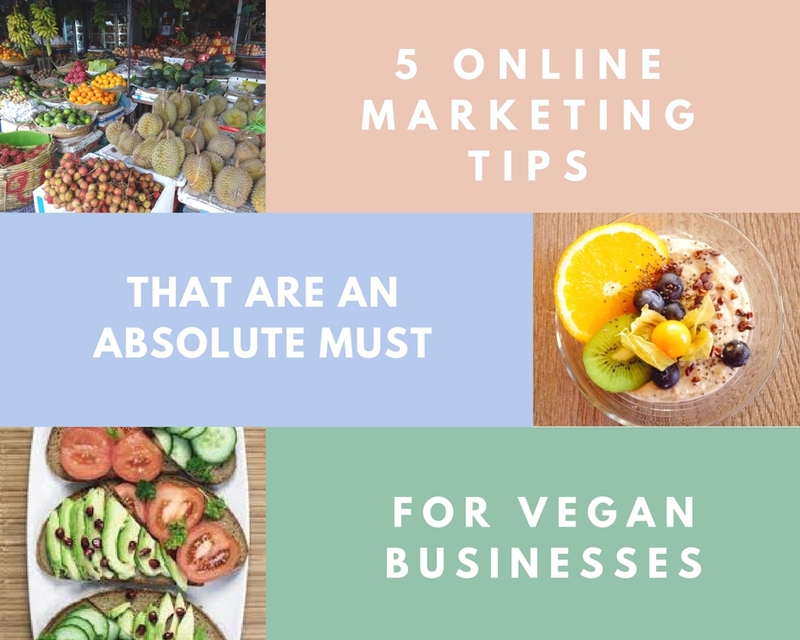 Are you a business owner or entrepreneur trying to establish your vegan brand? Or are you already established and looking for that extra “umph”? Please comment below and let me know if this was helpful to you! I’d also love to hear from you directly :). Shoot me an email through my contact page. I love answering questions and helping people out, particularly with writing and veganism :).